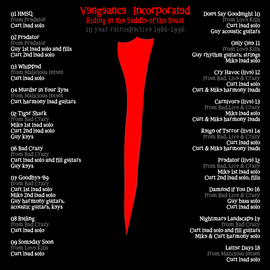 The most popular and most played songs from Vengeance Incorporated’s four LP releases. 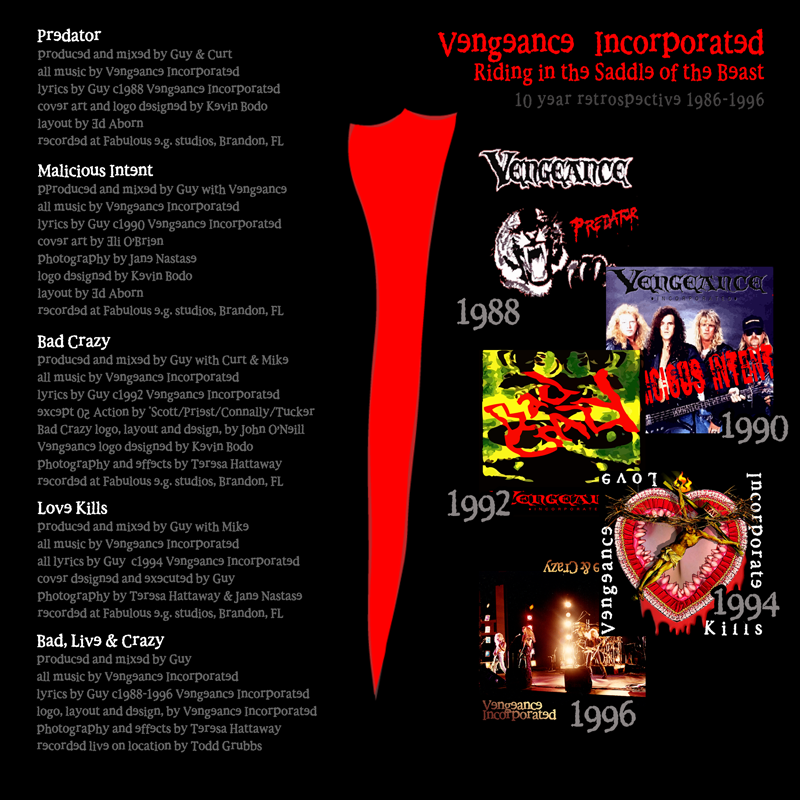 A few of these were released as singles, and while they weren’t exactly in the American Top 40 Top 10, they sold well for indy import heavy metal. 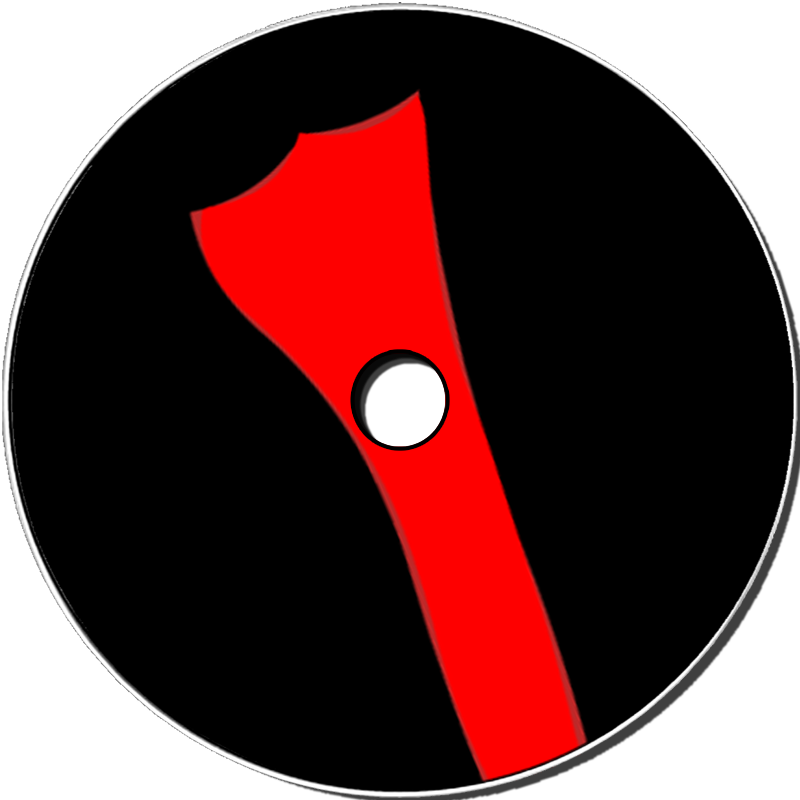 Many of these received extensive airplay on European, Australian and South American radio. 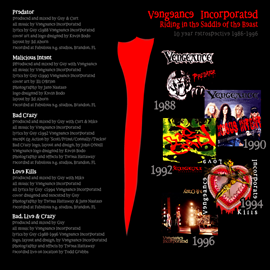 Also included are some of the most popular songs from Vengeance Incorporated live performances, from the album Bad, Live & Crazy. 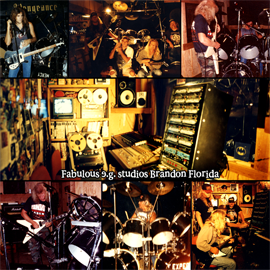 The rest are just the most requested and performed songs from the various albums. 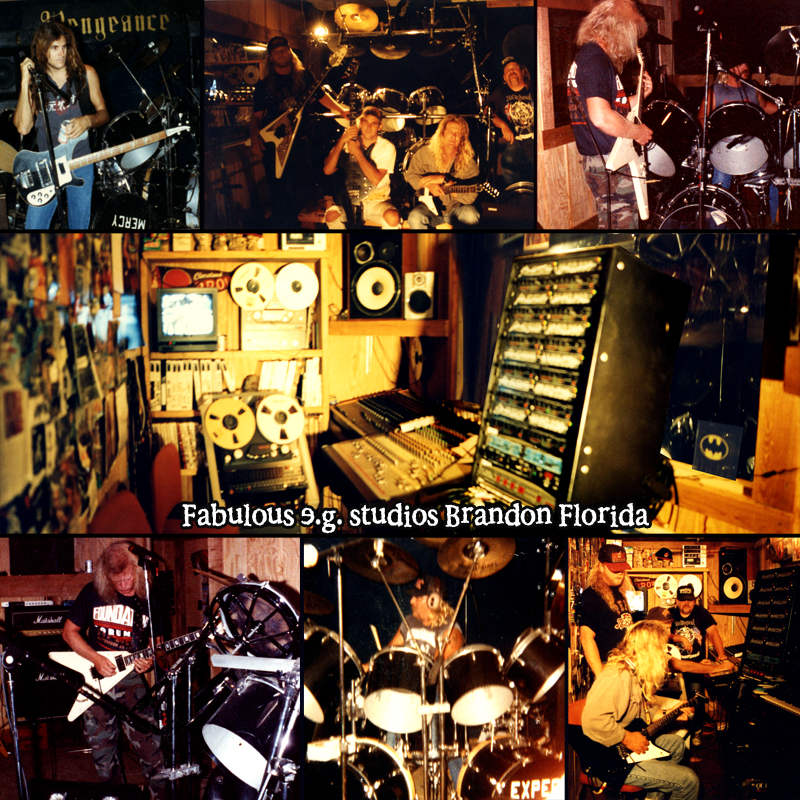 Represented by the title track studio and live versions, and long-time favorite HMSQ. 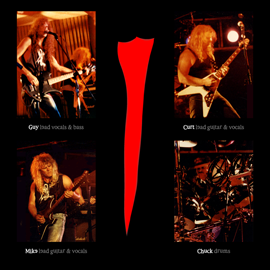 HMSQ was still played occasionally even after Vengeance Incorporated shifted formats to play hard rock and heavy metal covers. The second album is well-represented on RSB, with three studio versions from Malicious Intent, Whipped, Latter Days and Murder in Your Eyes, plus 3 live versions of songs from Mal Intent from Bad Live & Crazy, Cry Havoc, Carnivore and Reign of Terror. 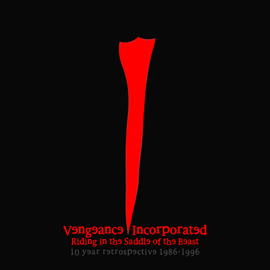 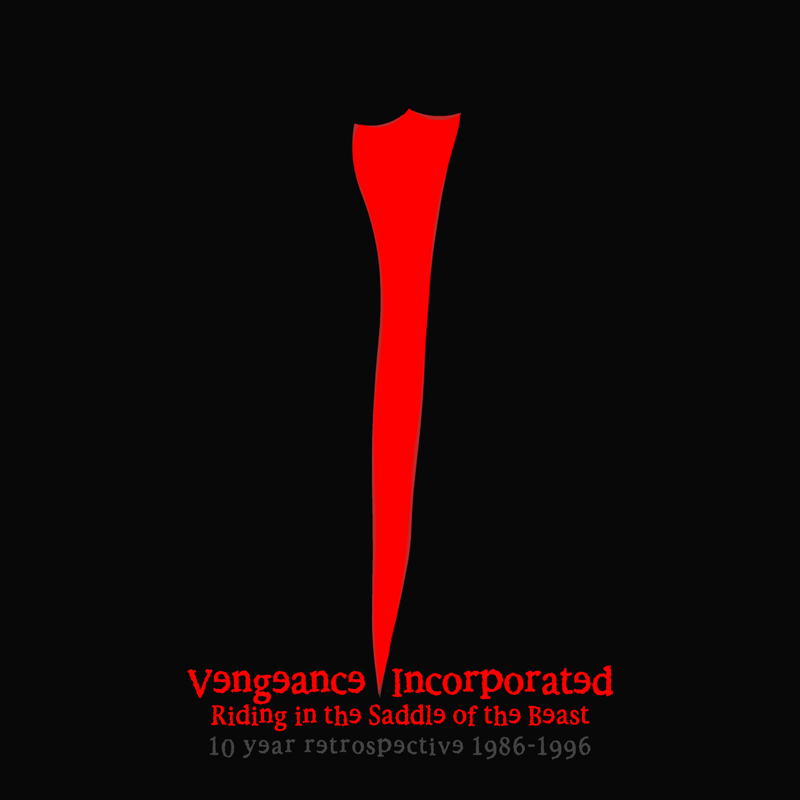 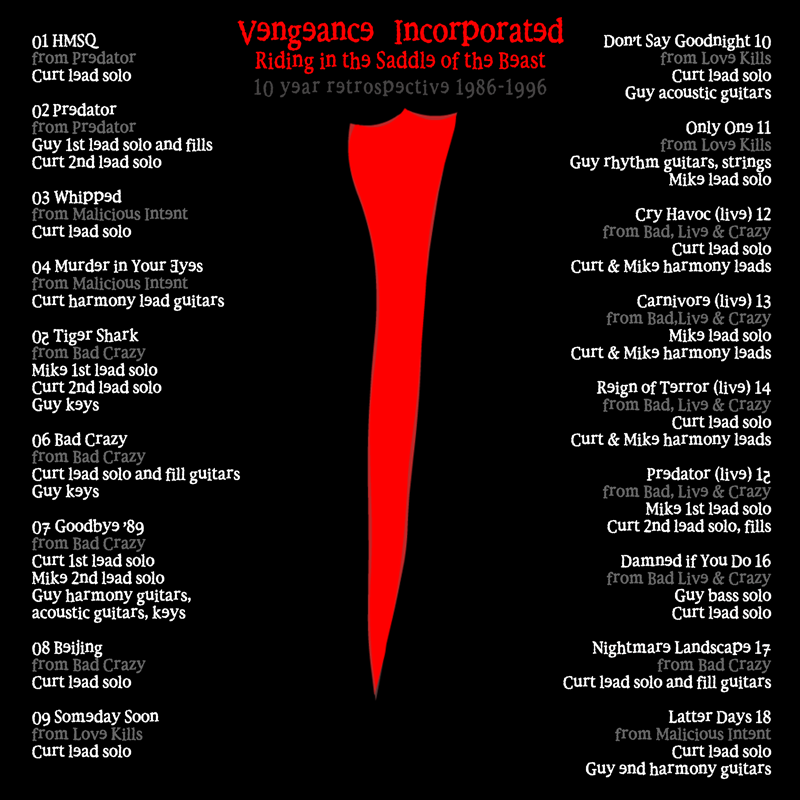 Most of the songs on RSB come from Vengeance Incorporated’s most popular album, Bad Crazy, including 6 studio versions: the title track, Bad Crazy, the opener (and frequent set opener) Tiger Shark, the ballad and single Goodbye ’89 and studio video version of Beijing and Nightmare Landscape, plus Bad Live & Crazy live track Damned if You Do and a “hidden track”, Action. 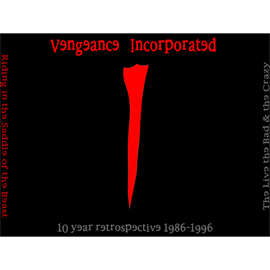 Love Kills (3 tracks): The final Vengeance Incorporated studio album contributes 3 songs, melodic rocker Someday Soon, ballad Don’t Say Goodnight and the final track recorded by the band, Only One. 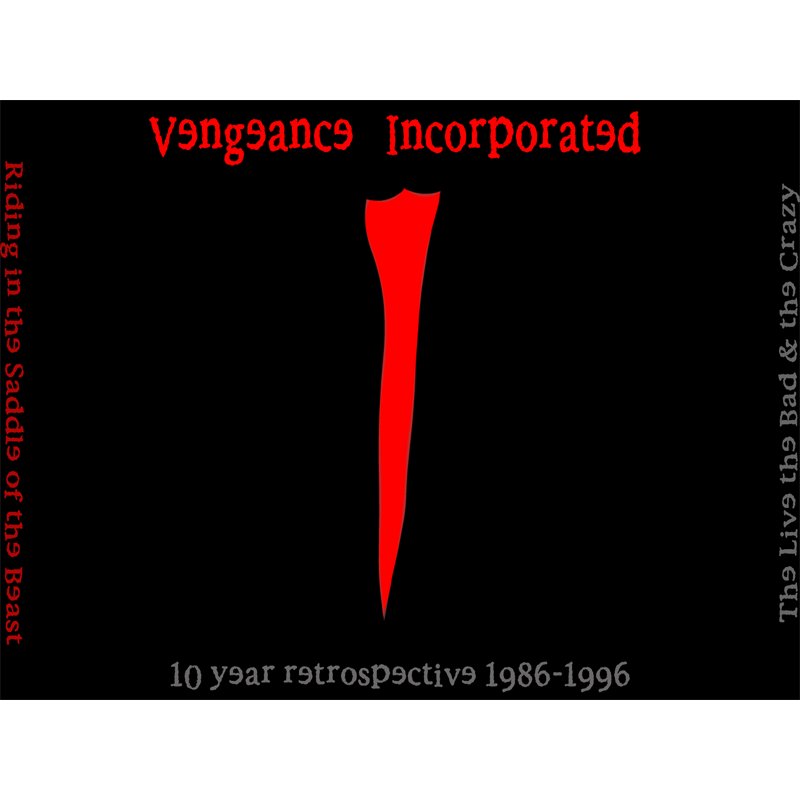 Bad Live & Crazy: 5 of the songs on RSB are live versions of songs from other albums, the medleys Cry Havoc/Carnivore and Reign of Terror/Predator and stand-alone Damned if You Do. 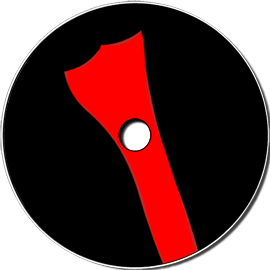 No unrealeased or new songs were included on the album.